Work is under way at Wyndham Park in advance of a grand September opening. Work has started on building new facilities, restoration of original buildings and new landscape features ready for September’s ‘Dawn of a New Era’ family day opening celebration. The Memorial Park will invoke an era when men of the Machine Gun Corps marched through the historic Memorial Arch on their way to training at Belton Park, confirmed Cllr Matthew Lee, The Leader of South Kesteven District Council and holder of the council’s arts and culture portfolio. 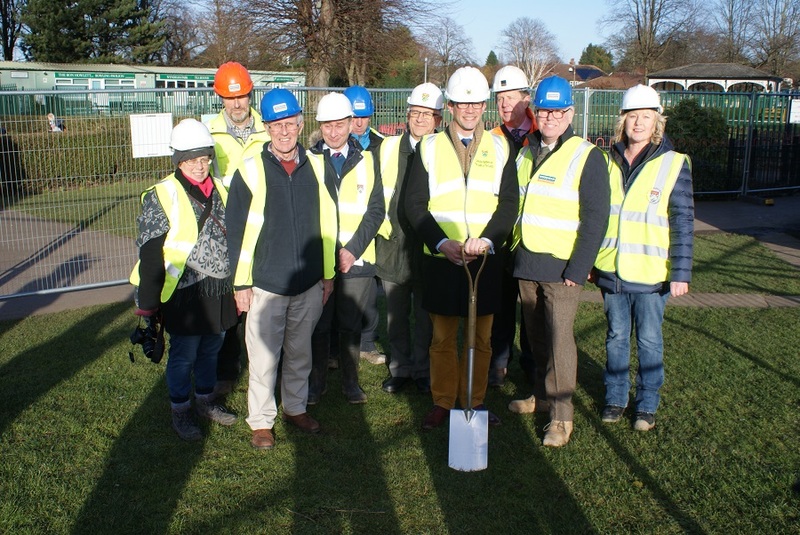 He said: “It’s exciting to see work underway to restore the park to its former glory. We have a golden opportunity to build on the reputation of Wyndham Park, already an award winner for its quality, to make the new memorial park a key cultural and leisure destination in the town. The joint SKDC and Wyndham Park Forum Heritage Lottery Fund and Big Lottery Fund project is supported by £818,000 of Heritage Lottery and Big Lottery funding towards the £1m-plus project, to include community events and building a body of volunteers. Architectural partners Southern Green Chartered Landscape Architects and Hugh Massey Architects are specialists in park restoration projects and together have delivered over 50 HLF projects, including several award winning schemes. A full programme of events is organised for the year including the return of the annual Easter Egg Hunt, Mayday in the Park, Shakespeare in the Park (Romeo and Juliet), the Halloween Spooktacular and Christmas in the Park.